Here are some science questions to help you test your general science knowledge. They will also show you which of the Florida, Utah, and NGSS science standards each question is testing. The questions are chosen randomly, so this quest will be different each time. Get 5 more random questions. Would you rather see the most recently added questions? I wanted to test a new fertilizer, to find the best concentration for my garden. I divided my garden into four sections and put a different amount of fertilizer in each section. My test results showed that using 10 grams of fertilizer per gallon made the plants grow faster and bigger. To follow proper scientific guidelines, what should I do next? Apply 10 grams of fertilizer per gallon to all the plants in my garden. Do the same experiment over again. Yes! Repetition is an important part of the scientific process. If my hypothesis is correct, I should get the same results every time I repeat the experiment. Do the same experiment, but use a different fertilizer. No. Using a different fertilizer would be testing a different variable. I wanted to find the best concentration of the original fertilizer, so testing a different fertilizer would not help with that. Publish my results, so that other scientists could replicate my experiment. No. Replication is an important step, but I should repeat my experiment several times to be sure that I get consistent results before I ask other scientists to try replicating it. SC.2.N.1.4 Explain how particular scientific investigations should yield similar conclusions when repeated. SC.5.N.1.3: Recognize and explain the need for repeated experimental trials. SC.8.N.1.2 Design and conduct a study using repeated trials and replication. This is the density column from the Making a Density Column video. Notice that the olives are floating at the boundary between the water and the corn syrup. What does that tell us? The olives are less dense than the water, and more dense than the corn syrup. No. If the olives were less dense than the water, they would float on top of the water layer. The water is denser than the olives. No. If the water was denser than the olives, then the olives would float on top of the water layer. The corn syrup is less dense than the olives. No. If the corn syrup was less dense than the olives, the olives would sink all the way to the bottom. Olives are denser than water, and less dense than corn syrup. Yes! Because the olives are denser than water, they sink to the bottom of the water layer. Because they are less dense than corn syrup, the olives float on top of the corn syrup layer. UT.7.I.2.b Use observations to predict the relative density of various solids and liquids. UT.7.I.2.d Describe the relationship between mass and volume as it relates to density. I placed this plant near the window. After two hours, I examined it. What would you expect to happen to the leaves during that time? The leaves will turn towards the light. Yes. The leaves will move and turn so that their surface gets as much light as possible. The following is a time lapse video, showing what happened with the plant. The leaves will turn away from the light. No. The leaves need light, so they turn to catch as much light as possible. The leaves will turn a darker green. No. While more light could eventually cause the leaves to grow and darken, the process would not happen in a couple of hours. The leaves will not change. No. 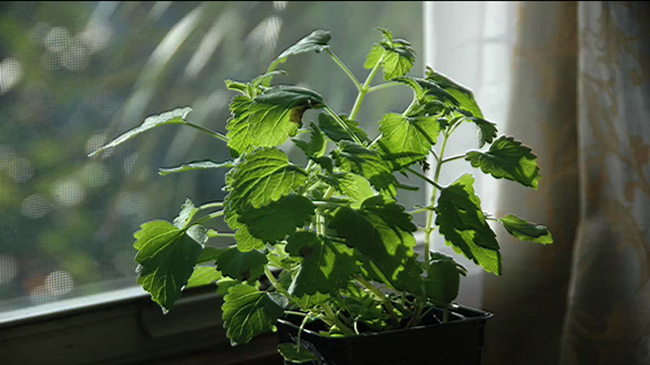 Plants are adapted to turn their leaves towards a light source. SC.3.L.14.2 Investigate and describe how plants respond to stimuli (heat, light, gravity), such as the way plant stems grow toward light and their roots grow downward in response to gravity. UT.8.IV.4.d Investigate and report the response of various organisms to changes in energy (e.g., plant response to light, human response to motion, sound, light, insects’ response to changes in light intensity). 2-LS2-1 Plan and conduct an investigation to determine if plants need sunlight and water to grow. 3-LS3-1 Analyze and interpret data to provide evidence that plants and animals have traits inherited from parents and that variation of these traits exists in a group of similar organisms. K-ESS2-2 Construct an argument supported by evidence for how plants and animals (including humans) can change the environment to meet their needs. 4-LS1-1 Construct an argument that plants and animals have internal and external structures that function to support survival, growth, behavior, and reproduction. 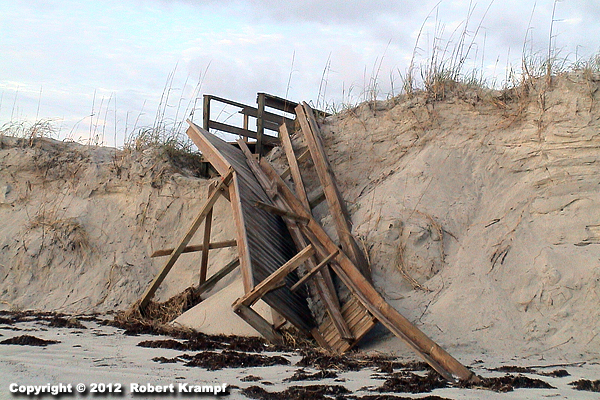 In August of 2004, Hurricane Charley removed over six feet of sand from the beach at St. Augustine. Was that an example of erosion, weathering, both, or neither? Yes! This is an example of erosion. The sand was moved by wind and water. The term "weathering" causes confusion because it sounds like it has something to do with weather. In Earth Science, weathering means "breaking apart." Weathering breaks rocks apart. Erosion carries the pieces of rock to a different location. No. While this was caused by weather, it is not an example of weathering. 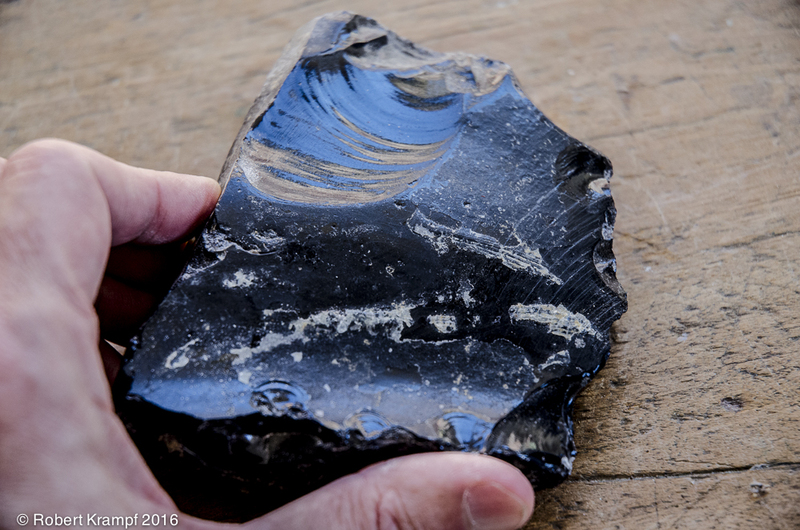 Keep in mind that weathering means breaking down rocks into smaller pieces. The sand was not broken into smaller pieces. It was just moved from one place to another (erosion). No. This was erosion, but not weathering. No. Since the sand was moved, it was erosion. UT.4.III.2.b Distinguish between weathering (i.e., wearing down and breaking of rock surfaces) and erosion (i.e., the movement of materials). UT.8.III.2.b Describe the role of energy in the processes that change rock materials over time. See which questions, videos, experiments, and other resources support each of your local science standards.